Marie Asselin just got her second moment of fame. 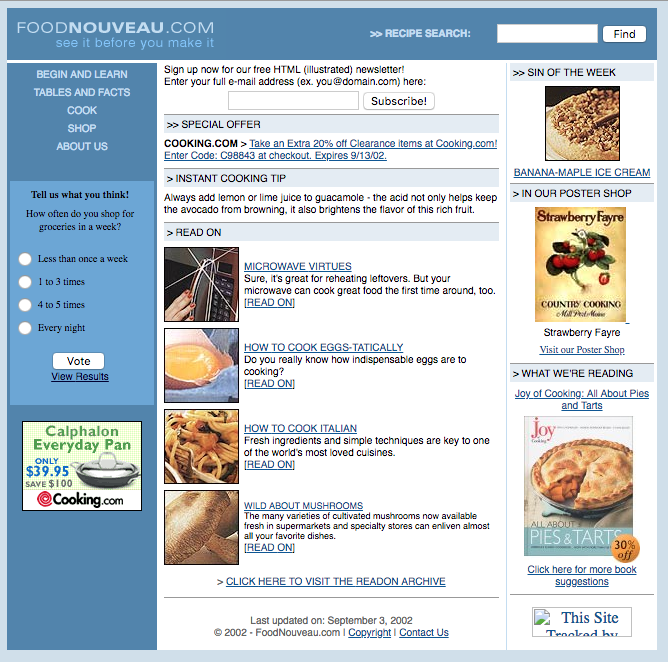 The creator of the 17-year old food blog Food Nouveau, Marie is a double award winner. She won the 2017 Best Recipe-Based Blog and the 2018 Best Individual Blog from the International Association of Culinary Professionals (IACP). She’s an overnight sensation! 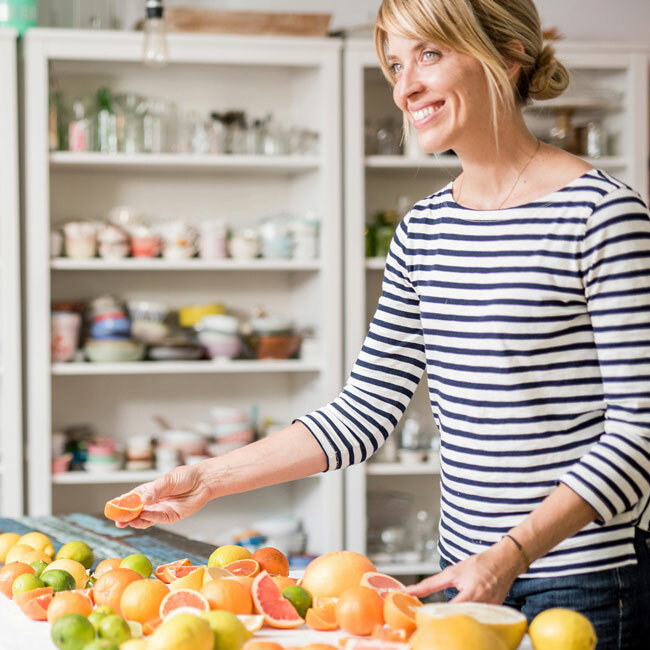 She’s also the author of her first cookbook, Simply Citrus. I thought you might like to win a copy, as we come to the end of winter — and because of Marie’s skill as a recipe developer. Enter below by leaving a comment. Update: This giveaway is closed. The winner is Rachel of Clean Eating for the Non-Hippie. Congrats, Rachel! Q. Why do you think you won the two national food blogging awards from the IACP? Two years in a row is a big deal. A. In 2017 I wrote really detailed recipes, plus video and e-books. I had lots of material that helped readers learn a new technique or go step-by-step to make French pastries, macarons and choux. This year I was surprised, because the award was more general – just one category for all food blogs. The other finalists were more narrative driven. I think it won for the same reasons as it did in 2017. I produce a lot of new content every year, and the recipes have practical, hands-on advice and explain why to make the recipe. I try to include helpful and practical tips. A. There was a movement on Twitter of people complaining about bloggers going on and on about their lives before getting to the recipes. I’m not a narrative type who writes essays with my recipes. I’m pragmatic and I like to dig deep into the recipes themselves. But at first I felt that my blog was lesser than others. Then I embraced the how-to aspect of my blog, because that’s what people responded to. It’s not about my cat and my kid and husband. Q. How big of a role do you think photography plays on your blog? Is it the number one thing that draws people in? A. People come primarily for the content and instructions, and then they probably stay for the photos, because they are helpful. I try to make the photos beautiful, but I don’t use a lot of props or décor around them. And I use lots of step-by-step and process photos. Q. How does your graphic design background help you? A. It allows me to produce most of the content. I create the templates myself and I can lay out beautiful e-books and postcards because I know how to use design software. I have the basic skills to edit the videos myself too. And I don’t have to spend additional money to produce something – I can do it all. Q. What is your recipe development philosophy? A. I try to make a recipe approachable. Making French macarons is very fussy, but if you have the right instructions you can help people be successful when the embark on a project. People want to make those things for special occasions. You want to avoid too many details so that it becomes overwhelming. Over the years I’ve simplified the recipes I make, eliminating unnecessary steps. The recipes in my book are short and simple but produce satisfying results. Q. How long does it take you to write, photograph and post a regular recipe post? A. Probably 1 to 1.5 days if I include social media. For the big how-tos, such as the macaron, salted butter caramel, or homemade ricotta cheese, it can be up to a week. Q. Do you make any money from your blog? A. I do, with sponsored content and ads. I see the blog as more of a portfolio, because I do lots of food styling and recipe development for clients now, and most of them have got to know me from my blog. The blog adds to my credibility. Q. How did you know to start a blog in 2001? A. I was studying website graphic design in school and it interested me the most. We always had a computer at home and I was very computer literate. I started studying HTML and my brother, who studied computer science, taught me a lot. I built the site from the ground up. It wasn’t a blog, per se. It was a website, more of a recipe resource. At the time I had lots of banner ads, from companies such as Cooking.com, Amazon.com, and I earned just as much as I made today, but with a very small audience! Websites and blogs were mostly text basedback then, but mine was designed and colorful. Q. What keeps you interested, after 17 years of food blogging? A. My parents always said I was impatient and never finished what I started. But with my blog, I just keep going and I can never get enough of it. Last year I wrote two cookbooks but I still wanted to blog at night. I’m not obsessed with checking my numbers. It’s going to get you down at some point. I blog mostly because I love to do it, and it’s led me to many good things. It’s still cold out and you need inspiration. Here’s a sample of the recipes contained inSimply Citrus: 60 Savory and Sweet Recipes to Delight Citrus Lovers: Orange and Ginger Pork Sliders with Slaw, Graefruit and Pomegranate Pavlova, and Cayenne Limeade. 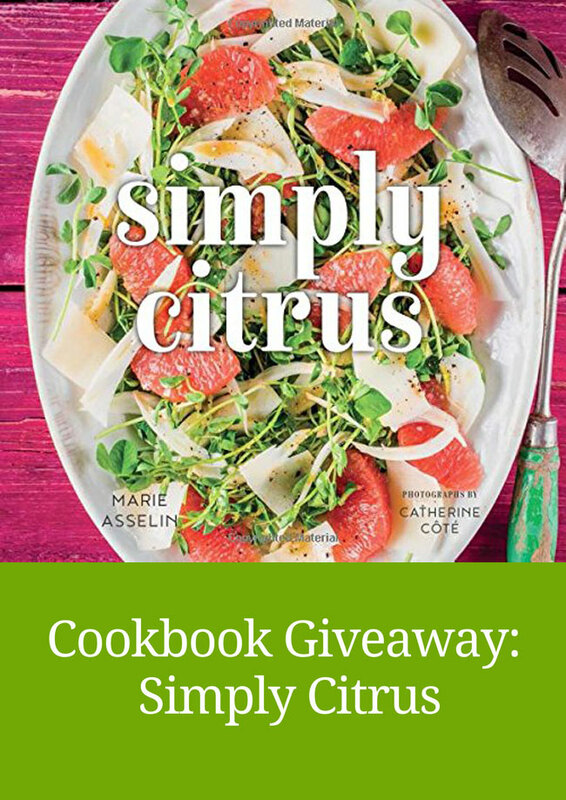 If you’d like to win a copy of Simply Citrus, leave a comment below by April 10, 2018. I will pick a winner at random from Random.org. For once, this offer is available to residents of the USA and Canada, because Marie is Canadian (She lives in Quebec City). Thanks, Diane. I love citrus! So! Much! Energy! A day to a day and a half to manage a recipe is madness – I wish I could do that. In other news, I am overrun with citrus and need this book. Marie is such an inspiration. Her persistence and belief in herself shows why she is such a success. Thanks for introducing me to a new cookbook author. I hadn’t previously heard of Marie and as a food writer and blogger myself, albeit new, I’m so inspired that she’s had her site for 17 years. Looks like I will be visiting a new blog site as of today! Thanks for the informative article. As I have 2 kumquat trees, 2 tangerine trees and an orange tree, I’m always looking for recipes or inspirations on ways to utilize the fruit; this book sounds like the perfect book for me! Thanks for this opportunity Dianne. Amazing story of blog longevity! The photographs are wonderful. Thank you for introducing me to Marie Asselin and her blog “Food Nouveau.” Congratulations to Marie for winning 2 national food blogging awards. “Simply Citrus” looks fresh and beautiful. I’m definitely a citrus person so this sounds like my kind of cookbook. Wishing Marie continued success! I like the approach of making the recipes the focus of the blog; that is why I subscribe to food blogs. The more information about the recipe and its methods, the more likely it will turn out to be a winner! Thanks, Dianne, for presenting interesting and helpful posts. Mmmm, citrus brightens any dish — I would LOVE a copy of Marie’s gorgeous new cookbook!!! Congratulations Marie on your successful blog, awards and your new book. Diane thank you for the interview, I enjoyed learning more about Marie’s background and philosophy. Kumquats are a food I’ve never eaten, much less cooked with so I’need this book! Exploring citrus with your wonderful book would be a treat! Sounds like a fun book. 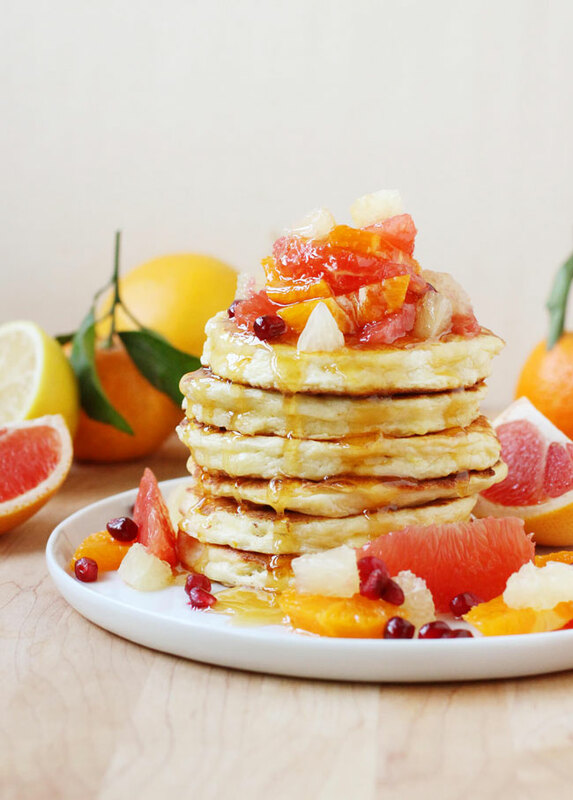 I would love more ideas to use grapefruit, my favorite citrus! Thanks for the opportunity! This book looks beautiful. I’ve followed her blog so I can’t wait for this. I like citrus fruit but have no idea what to do with anything other than make lemon curd! This sounds like a nice book to have an gain new ideas & insights. Marie is inspirational… and who doesn’t love citrus. Thanks, Diane, for the article and the opportunity. I can’t get enough of citrus! And she sounds like she has worked hard to get to where she is. Awesome! Great interview–looking forward to some recipe inspiration around citrus. Lovely cover and cannot wait to try cayenne limeade.